In Colorado, a bill was presented to the capitol to authorize civil unions. There is some change inside Baltimore. Even if recently the democrats said they were still against gay marriage, the Senator James Brochin declared that he supports the bill. 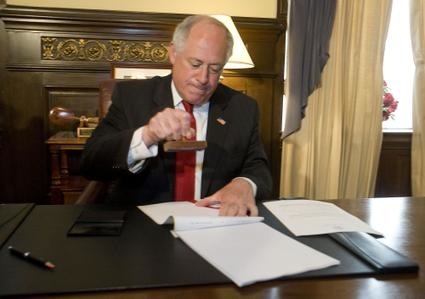 From his facebook page, the Representative of State, Greg Harris, announced that “Governor Pat Quinn will sign the Civil Union Law on Monday, January 31. The signing ceremony will be in the afternoon in the Chicago Loop, and open to the public. Details will be announced early next week."